SSL is enabled by default on all domains hosted with One.com. This means that both HTTP and HTTPS will work for your site. 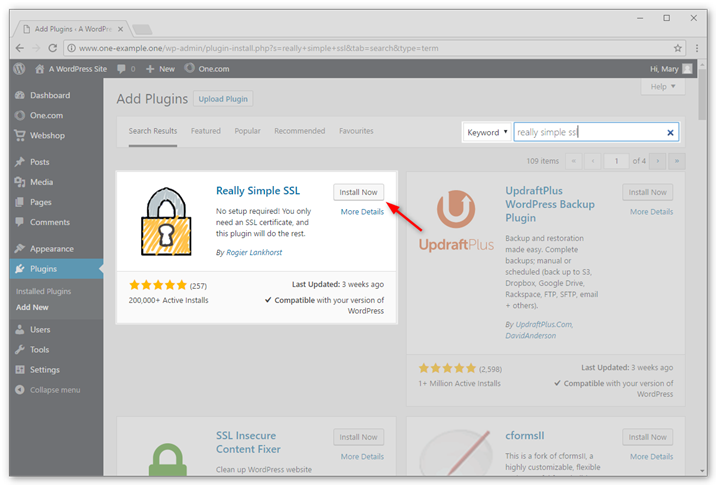 To make sure that your visitors always use HTTPS, we recommend installing a plugin called Really Simple SSL. In this guide we show you how to do this. Log into your WordPress dashboard and click Plugins in the menu to the left. Click Add New at the top of your screen. Type in Really Simple SSL in the search field. Click Go ahead, activate SSL! 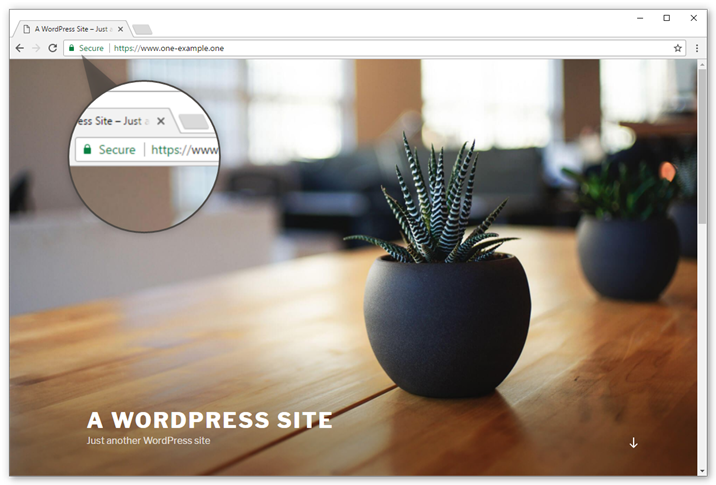 to activate the plugin and start serving your WordPress site via https. Note: If you get an error that SSL has not been detected, please contact our support to check if SSL is properly enabled for your domain. All done! Open your site in your browser and check if you see the secured padlock.